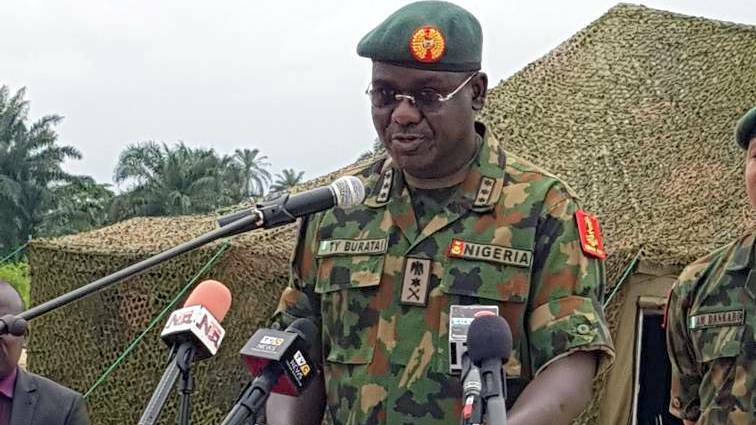 The Chief of Army Staff (COAS), Lieutenant General Tukur Buratai, announced yesterday that the search for the remaining abducted Chibok girls was still on, adding that the activities of Boko Haram insurgents have been confined to Lake Chad region and fringes of Sambisa forest. Delivering the maiden lecture of the Centre for Contemporary Security Affairs at the Igbinedion University, in Okada, headquarters of Ovia North East Local Government Area, Edo State, Buratai explained that complex security challenges like the Boko Haram activities required political and security solutions that ensure that democracies rebound stronger after a crisis. He disclosed that the President Muhammadu Buhari administration has fulfilled the pledge to support the MNJTF by donating $100 million, adding that the current political leadership has demonstrated strong political will, purposeful direction and resourcing that galvanized the nation against the common enemy. “Military leadership invariably draws inspiration from the political leadership and this allows it develop military strategic objectives that are to be achieved. “Socio-economic activities and free movement of people and goods have resumed in many areas. Significant improvements can be attributed to the systematic campaign led by the NA in conjunction with other Services and elements of national power. “Success recorded so far is an indication that for Nigeria’s democracy to be consolidated, the military must not only play its part but must also fulfill the constitutional roles assigned to them,” he said. The COAS assured that the NA under his leadership would partner with the institution to build officers’ intellectual capacity. Vice Chancellor of Igbinedion University, Prof. Lawrence Ezemonye, said the centre when operational, would carry out research that interrogates emerging security challenges of local and global concern. According to him, the strategy was to create a faculty that provides knowledge-based interventions for effective enforcement response, being a rich blend of academic researchers in security affairs and practitioners from the military and allied agencies.